Bed and Breakfasts near Silverstone Circuit for 1 night from Tue Apr 23, 2019 to Wed Apr 24, 2019 within 25 miles, in an Average Nightly price range of £1 to £200. Set in rural Northamptonshire Whittlebury Hall Hotel and Spa is an award winning hotel and spa that offers one of the largest day spa s in the country 2 AA rosette dining and a state of the art Gymnasium. Whittlebury Hall aims to bring you all the comforts of home in a peaceful elegant setting. The hotel is adjacent to Whittlebury Park golf centre and 4 miles from Silverstone Circuit. Bedrooms provide the very best in comfort decorated to an elegant finish for a restful escape. The elegantly decorated rooms provide free WiFi access and a host of modern comforts. Guests can enjoy complimentary use of the extensive leisure club facilities. /p You will be spoilt for choice by the range of enjoyable culinary delights whether choosing Murrays boasting two AA Rosettes and an intimate atmosphere or the relaxed and informal Astons blending classic and contemporary cuisine. Bentleys features wines from around the globe complemented by Mediterranean style cuisine and The Terrace Caf� allows you to relax poolside ordering refreshments direct to your lounger. /p The Leisure Club offers a host of first class facilities including Gymnasium swimming pool sauna steam room and whirlpool spa further enhanced by the luxurious day spa where you can experience therapies and ancient bathing rituals designed to unwind and escape. /p Easily accessible set in the heart of the country within minutes of the M1 and M40. Closest airports are London Luton Airport at 48 km and Birmingham Airport at 65.1 km. Highbridge House is a recently re-furbished and modernised historic house at the edge of the picturesque village of Wappenham near Silverstone in Northamptonshire. We provide luxury boutique-style accommodation in a beautiful traditional environment combined with modern conveniences. A full English AGA-cooked breakfast is included in the price for your stay. Our Towcester Silverstone hotel sits in a convenient spot on the outskirts of Towcester with shops and food stops close by. Close to Silverstone racing circuit it s an ideal pitstop for pilgrimages to the home of UK motor racing. Head into Towcester to enjoy the excellent shopping facilities and be awed by its historic church. Or take a tour of Towcester Brewery followed by a well-deserved drink. This hotel has upgraded rooms that feature a comfy king size bed with four plump pillows and a cosy duvet. Guests can enjoy a variety of food and drink choices within walking distance of the hotel. Early/Late Check-In/Out Service if you re looking to make the most of your day we can offer an Early Check-In service from 12:00noon and a Late Check-Out Service until 2pm so you have more time to relax - cost is �10 per service per room subject to availability - bookable direct by telephoning the hotel. We are a pet friendly hotel and allow up to 2 domestic pets per stay. This is at an additional charge of �20 per pet per stay. Please contact LateRooms to arrange this to be added to your booking and for further details on charges and terms and conditions. Please note that Guide dogs Hearing dogs and other animals to aid disability are exempt from charge. Kendal House is an 18th Century coaching inn now converted into a large family home. The house is grade 2 listed and retains many of its original features but has been lovingly restored and updated. The house has 6 bedrooms over 2 floors 4 large double rooms with ensuite bathrooms and one twin room with a bathroom adjacent to it. Our guests have a living room with open fire to relax in and breakfast is served in our large dining room. br / br / br / br / The house is set in the centre of the picturesque village of Blakesley which is approximately 5 miles away from Silverstone Racetrack. It is also 5 minutes drive to Towcester Racecourse and nearby to many wedding and party venues. Blakesley is set in the beautiful Northamptonshire countryside so perfectly placed for quiet walks or cycle rides. Our Silverstone guests seem to enjoy the combination of the peace and quiet of our village after the noise and bustle of the racetrack. br / br / br / br / The Bartholomew Arms is situated directly opposite the house. This delightful country pub offers delicious homemade snacks and meals throughout the day but its often best to book in advance to avoid disappointment. br / br / br / br / The Noy family look forward to welcoming you into our home. This property is located in Buckingham and features a 1 AA Rosette-awarded restaurant and free parking. Silverstone racecourse is a 10-minute drive away. Each spacious room at Buckingham Villiers Hotel features a TV with Sky channels, tea/coffee making facilities and a desk. Villiers Restaurant offers a fine seasonal English menu. Villiers Bar has an open fireplace and there is an original cobbled courtyard. Buckingham Old Gaol Museum is located 0.1 miles from the property. The White Hart Hotel is located just off the market square in the historical town of Buckingham. This former 18th-century coaching inn provides en suite rooms with free Wi-Fi. Air conditioned bedrooms at the White Hart all feature flat-screen TVs with Freeview, irons and hair dryers. Tea/coffee facilities are also available, and bathrooms have both baths and showers. Steeped in history, the White Hart is said to have its own ghost. The town has regular markets and there are several golf courses in the area. The Silverstone Race Circuit is just a 10-minute drive and Milton Keynes, with its fantastic The Centre:MK shopping and leisure complex, is just 15 miles from The White Hart. Designed around an original cobbled courtyard that once stabled 150 horses Villiers was the main coaching inn of Buckingham in Cromwellian days. Guests pass through the hotel archway into a truly unique hotel where high quality facilities and service make for a home away from home. The en-suite bedrooms have excellent facilities each with their own individual flair and timeless quality. The new Villiers Restaurant is an elegant air-conditioned restaurant which has been awarded two AA Rosettes for it exceptional food and where guests can feast upon imaginative cuisine renowned throughout the town. There is also an extensive wine list offering superb wines from around the world. For guests looking for something a little less formal the Villiers Bar revives a Jacobean atmosphere offering real ales from traditional oak casks. Ample car parking is available at the hotel in a covered car park and a second car park within a walled garden. A member of Classic British Hotels. Formerly an old stable this small cottage is very well equipped on 2 floors with a fully fitted kitchen open plan lounge dining downstairs wc. Upstairs there is a large bedroom with king size bed and ensuite double monsoon shower hand basin and wc TV DVD in Lounge and in the bedroom wifi throughout. br / br / br / br / Located on the main A508 road midway between Northampton and Milton Keynes with bus stop right outside the door providing direct links to Milton Keynes Central train station (15 min) Train to London Euston in as little as 35 mins. br / br / br / br / Situated next to The White Hart in Grafton Regis one of the top pub restaurants in Northamptonshire. br / br / Sharing the car park with the public house parking is never a problem. br / br / br / br / Grafton Regis is a small picturesque village and the Gran Union canal is a few minutes walk away Stoke Bruerne is close by where there is a Canal museum and an Open farm to visit. Brand new B&B in Brackley, modern fresh and friendly, Silverstone only 8 miles away, double twins, triple and single available, Contractors, Business, Couples and Families are welcome. Off street parking available. Just a 15-minute drive from Milton Keynes, Best Western Buckingham Hotel has a swimming pool, 2 gyms and 70 spacious rooms. There is free Wi-Fi and free on site parking. Buckingham Hotel boasts the Revival Leisure Club, with a spa bath, sauna, steam room and solarium. Guests have full use of the facilities. The modern en suite rooms at Best Western Buckingham have flat-screen TVs with satellite channels, tea/coffee making facilities, and complimentary toiletries. In the comfortable lounge bar and restaurant guests can enjoy a range of meals from an extensive a la carte and lounge menu. In room dining is also available. This hotel is ideally situated on the A421 road, with easy access to the M1 and M40 motorways. Buckingham and Buckingham Golf club are only 1.5 miles away. Silverstone and Bicester Retail Village are within 25 minutes' drive. Our Buckingham hotel is well-placed for exploring this traditional and yet modern riverside town with it s many restaurants pubs and boutique shops and attractions like the Old Gaol Museum. Visit picturesque Stowe and learn about codebreaking during WWII at the fascinating Bletchley Park. For adrenaline-filled days out Silverstone racetrack and Gullivers Land theme park are both within a short drive. This hotel has upgraded rooms that feature a comfy king size bed with four plump pillows and a cosy duvet. Guests can enjoy a variety of food and drink choices within easy walking distance from this hotel. Early/Late Check-In/Out Service if you re looking to make the most of your day we can offer an Early Check-In service from 12:00noon and a Late Check-Out Service until 2pm so you have more time to relax - cost is �10 per service per room subject to availability - bookable direct by telephoning the hotel. We are a pet friendly hotel and allow up to 2 domestic pets per stay. This is at an additional charge of �20 per pet per stay. Please contact LateRooms to arrange this to be added to your booking and for further details on charges and terms and conditions. Please note that Guide dogs Hearing dogs and other animals to aid disability are exempt from charge. Crown Hotel at Brackley is a 3 star 20 bedded property situated right in the heart of the country town of Brackley in Northamptonshire. From the hotel guests are within easy reach of the M40 motorway and just a short drive from Banbury Buckingham Oxford and Northampton. 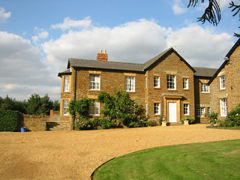 Its excellent location is ideal if guests are travelling on business or touring Northamptonshire for pleasure. /p All 20 bedrooms have been lovingly restored to offer comfort and luxury providing all modern facilities guests would expect whilst still retaining the character of the building. Features a comfortable bed and clean crisp linen. The restaurant offers a friendly informal atmosphere where guests can enjoy the best traditional cuisine. Guests can also enjoy a relaxing drink at the bar which offers real ales and a wide range of bar snacks. /p The wide tree-lined market place in Brackley with its Georgian and Victorian houses and shops is the delightful setting for its 13th century coaching inn. The Crown s comfortable surroundings offer a cosy retreat after a long day s travelling coupled with good old-fashioned hospitality. /p Enjoy idyllic leisurely walks along bridleways and footpaths with two major walkways the Knightley and Grafton Ways both well signposted. Stowe Gardens and Park the largest landscape garden in Britain boasts a magnificent Georgian garden full of romantic temples and lakes. For guests wishing for excitement and adventure Silverstone motor racing circuit and Towcester racecourse are both within a 15-minute drive. /p The finest medieval castle in England is a superb day out for all the family with Kingmaker the medieval household preparing for battle and the chilling dark dungeon and torture chamber. Located just outside the centre our hotel offers a comfortable stay for those visiting the town with easy access to wider locations. At only 3 miles from Wolverton train station this hotel is very convenient for guests attending various events and functions. The National Hockey Stadium and Milton Keynes Dons Football Club are only 5 miles away making it perfect for sports lovers while Silverstone Racetrack (11 miles) is a great attraction for fans of life in the fast lane. This is also an ideal choice for anyone wanting a quiet place to stay but still want to enjoy a fun break in the centre of things. With the town just 6 miles away you ll be within reach of fantastic local entertainment such as the Milton Keynes theatres (6.5 miles) and the Milton Keynes Bowl (7 miles). All rooms feature a comfy king size bed with four plump pillows and a cosy duvet. Guests can enjoy a wide variety of food and drink choices within a short distance of the hotel. Early/Late Check-In/Out Service if you re looking to make the most of your day we can offer an Early Check-In service from 12:00noon and a Late Check-Out Service until 2pm so you have more time to relax - cost is �10 per service per room subject to availability - bookable direct by telephoning the hotel. We are a pet friendly hotel and allow up to 2 domestic pets per stay. This is at an additional charge of �20 per pet per stay. Please contact LateRooms to arrange this to be added to your booking and for further details on charges and terms and conditions. Please note that Guide dogs Hearing dogs and other animals to aid disability are exempt from charge. Stone House is a family home situated in Sulgrave, 12.8 km from Oxford. Rooms come with a flat-screen TV. Every room has a shared bathroom. Stone House features free WiFi . A Continental breakfast is available in the morning and includes cereal, bread, juice and hot drinks. A cooked breakfast is available for a surcharge. Hot drinks, juice, cereal and breads are included in the room price and are available from 6.45am Stratford-upon-Avon is 37 km from Stone House, while Milton Keynes is 30 km away. The nearest airport is Birmingham Airport, 54 km from the property.